Draft map from Mobile County. 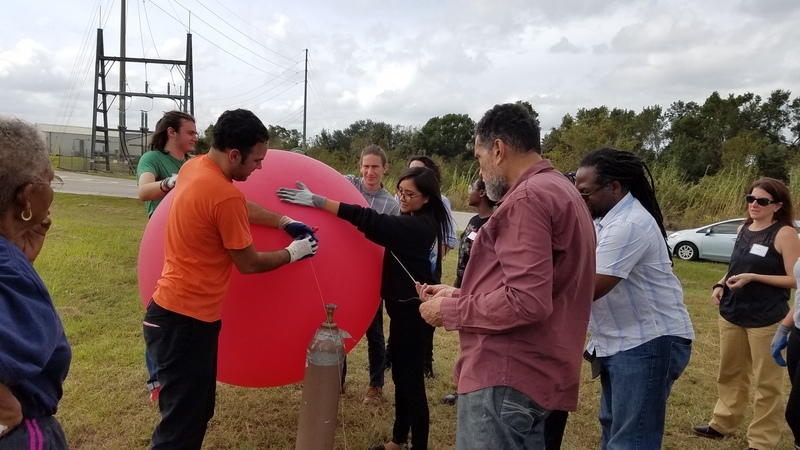 A Balloon & Kite Mapping Workshop was presented by Public Lab at the Robert L. Hope Community Center in Mobile, AL. 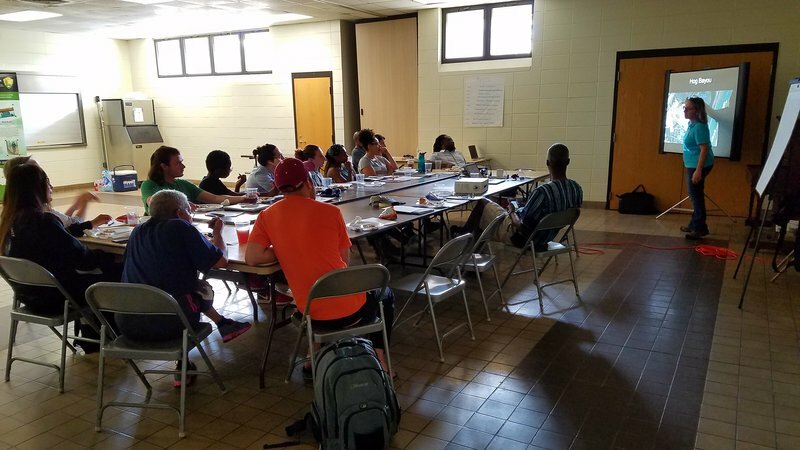 The Workshop primarily supported the development of the Africatown Connection Blueway, a water trail that will connect historic Africatown, AL with the Africatown State Park, in Prichard, AL, via a ten-mile stretch of Chickasaw Creek. The session opened with an overview of the Blueway Project, presented by Liz Smith-Incer of the National Park Service (NPS), who has been serving as facilitator, since the project's inception. Participants in the Workshop included several representatives of the Mobile Environmental Justice Action Coalition (MEJAC), (i.e Ramsey Sprague, Lella Lowe, Ruth Ballard & Louise Moore); Anderson Flen of the Mobile Country Training School's Alumni Association; Steve Bradberry and Charlene Bridges of the Alliance Institute; Councilwoman Ossia Edwards of the City of Prichard; Kyrene Yazzie of Environmental Stewards and a large contingent of actively engaged students from Oberlin College, accompanied by Oberlin College's Dr. Charles F. Peterson, Associate Professor of Africana Studies and Dr. Janet Fiskio, Associate Professor of Environmental Studies & Comparative American Studies. Oberlin is planning another trip to Africatown in January, 2018. "Our mission is to preserve the natural spaces, habitat, and waterways of historic Africatown in Mobile, AL, Africatown State Park in Prichard, AL and the 10 miles of Chickasaw Creek, connecting the two, for the sustainability of healthy communities, educational enlightenment, and economic opportunities." Africatown was founded by the original group of Africans, who were illegally transported from West Africa aboard the slave ship Clotilde in 1860, although the Atlantic Slave Trade had been abolished in the USA in 1808.